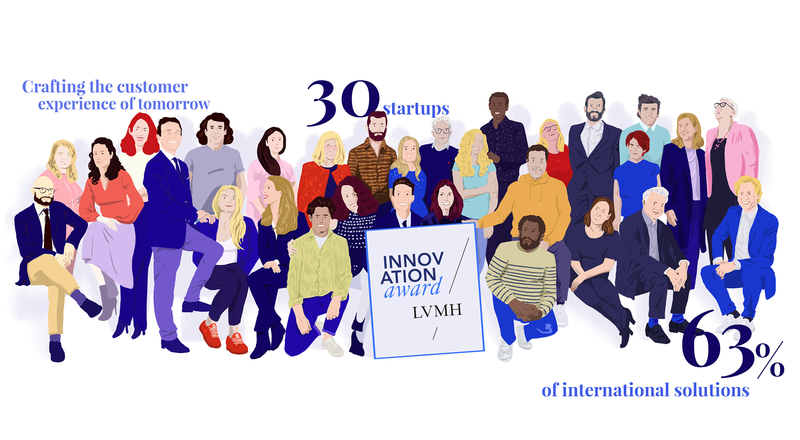 LVMH has announced the list of 30 startups selected as finalists for the third edition of the LVMH Innovation Award. The startups will be part of the LVMH Luxury Lab at the upcoming Viva Technology show in Paris on May 16-18. Chosen from the large number of candidates from around the world who applied, these 30 startups will showcase their vision of the customer experience of tomorrow to industry professionals and the public. Viva Technology, the world’s premier rendezvous for innovation, is set for this coming May 16, 17 and 18 in Paris. The event is an opportunity for the 30 startups shortlisted by LVMH to pitch their solutions. Following three intense days of pitches and exchanges, one of the budding enterprises will receive the third LVMH Innovation Award at a ceremony on May 17 at 10 am. The winner will benefit from personalized support for a full year to drive its growth, as well as a spot in the Maison des Startups LVMH, part of the Station F incubator. The 30 startups selected as finalists this year propose the top solutions for “Crafting the Customer Experience of Tomorrow”. They represent nine different countries and span ten different categories, including omnichannel, supply chain, clienteling, customer service, data and AI. What’s more, 20% of them were founded by women.